An exciting new attraction will be opening in White Marsh next month. 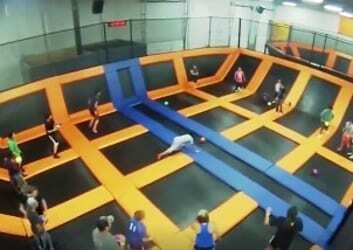 Urban Air Trampoline & Adventure Park will open its doors on Saturday, February 4th at 10 a.m. The first 100 people in line could win an entire free year of jumping. Also, the first 100 customers to purchase a 2.5-hour jump pass ($24.99) at the door will receive a free, one-year jump pass. Urban Air Trampoline & Adventure Park is located at 1501 Pocomoke Court, Middle River, MD 21220.